”I live in Bedford Stuyvesant on the border of Crown Heights, Brooklyn, historically home to African American and Caribbean communities. The area has been under threat from gentrification and real estate development, but many of my neighbors were born and raised in this tight-knit, working- class community. 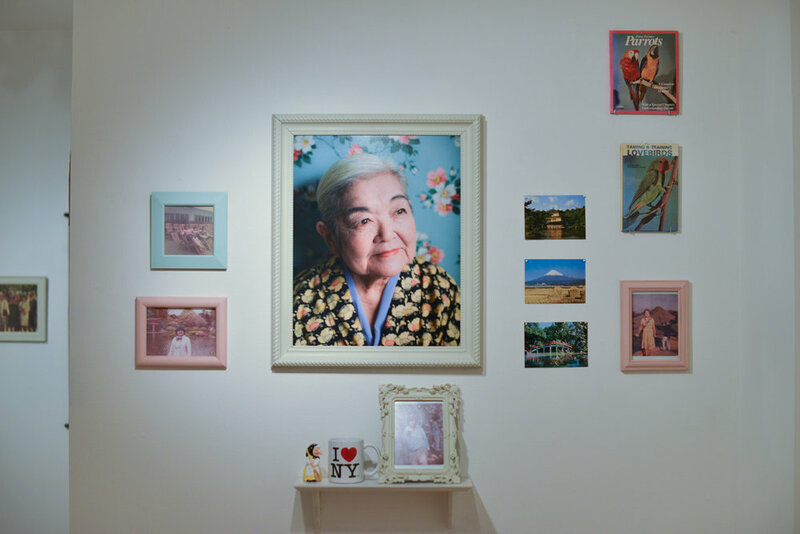 Hello, it’s me is a collaborative multimedia project that Takagi developed during which regular visits to the Saint Teresa of Avila Senior Apartments in her neighborhood of Crown Heights. Through taking photographs of the center’s activity classes and occasionally portraits of the residents, she developed great friendships with some of the seniors who shared their family narratives and talked about the current events that are shaping the historically African American and Caribbean American neighborhood. For the photographs, each participant chose their own style of wardrobe to show a deeper sense of their personalities. The final installation resembles a living room adorned with portraits of each participant in golden frames and bright wallpaper. Each image is paired with a set of audio recording that allows the audience to hear each participant’s story in their own voices. These photographs are part of her series titled, The Barbershop, which documents the neighborhood institutions of barbershops that are central to public life in Bed-Stuy and Crown Heights and are under threat from real estate development and rapid gentrification. Takagi sought to capture the sense of style and artistry that the barbers and their clients share, celebrating a predominantly male public culture that has been central to the development of a distinctive Brooklyn aesthetic. Hidemi Takagi is a multi media artist, was born in Kyoto, Japan and currently lives in Brooklyn, NY. 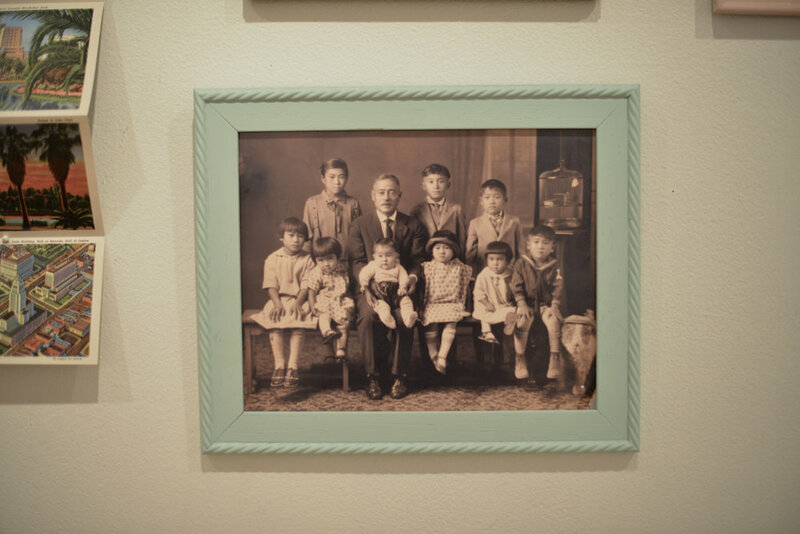 Takagi has exhibited both nationally and internationally (London, Madrid, Tel Aviv, Berlin and Paris). Her notable selected exhibitions include The Bronx Museum of the arts, Queens Museum, BRIC Media art center, White columns, Momenta Art and The Nathan Cummings Foundation. Takagi participated in the AIM program at The Bronx Museum of the Arts, NYFA IAP mentoring Program, LMCC’s Swing Space, Engaging Artist residency by More Art, BRIC New Media Art Fellowship and Utopian Practice Fellowship by Culture Push. Her work has been reviewed in Time Out Tel Aviv, Time Out New York, NY Times and Village Voice. Her 'Blender' project was selected for "Times Square Public Arts 2011".